Uber, Lyft and other companies are getting the green light on Long Island. 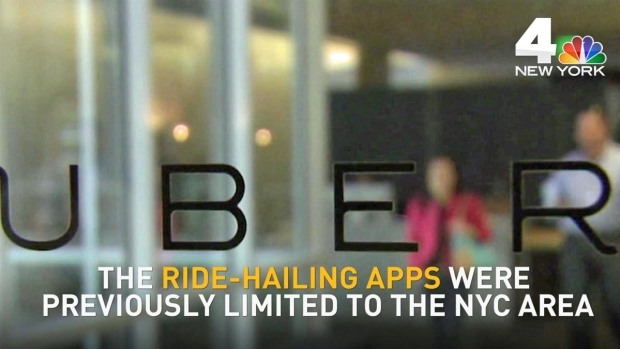 But cab companies say ride-sharing companies have an unfair advantage. Greg Cergol reports. Long Islanders, your Uber is arriving. Gov. Cuomo signed legislation late Monday allowing Uber and Lyft to begin service across Long Island and in cities like Buffalo, Rochester, Syracuse and Albany on June 29. The ride-hailing apps had been limited to the New York City area until lawmakers voted earlier this year to allow them to expand later this summer. Lawmakers then voted to move up the start date to the end of June to allow Uber and Lyft to begin operations in time for the busy July 4th weekend. In a statement, Uber spokeswoman Alix Anfang says the company "can't wait" to begin picking up passengers in communities throughout the state.